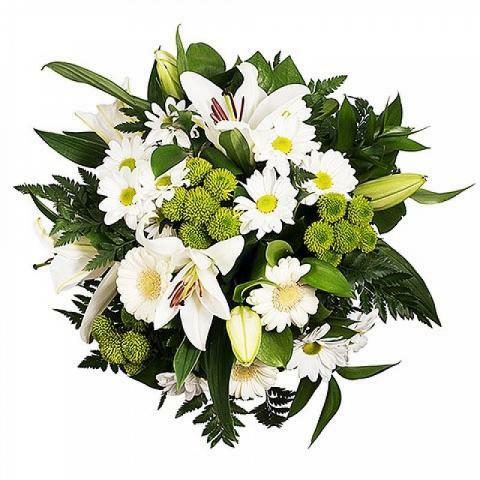 Capture and share a tiny piece of the emotion you feel for your loved ones and send these brilliant white lilies and gerberas in a dazzling bouquet. 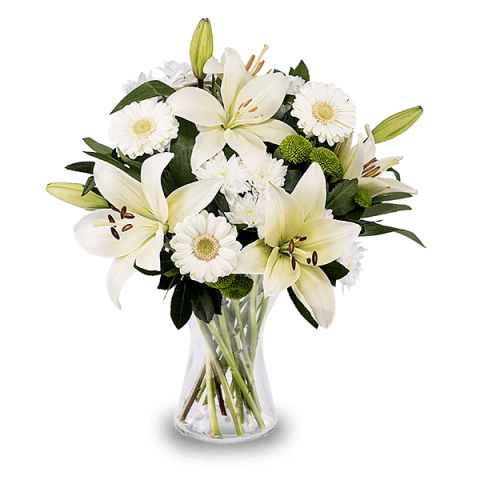 White flowers symbolise purity and sending this gift for a birthday or to welcome a new baby certainly demonstrates the truth of your loving feelings. Mother-in-law loved it! The flower arrangement was amazing! Perfect delivery... just in time !!! Very professional. Just some flowers never open. Flowers were carefully packaged and nicely arranged. Thank you. I loved it. My family was thrilled with the stunning bouquet. Thank you. Amazing. The service is excellent. Keep up good work! Wow! What a lovely bouquet of fresh flowers! Perfect Packaging ,smart and safe. Very nice stuff inside . Always on time, always the right bouquet! It was great but I have no clue who sent it! I loved the flowers. They were really beautiful and fresh. Very pleased with my surprise! The delivery guy was friendly. Good flowers and arrived same day! I have never been disappointed, thank you! VERY PLEASED WITH FLOWERS AND KEPT UPTO DATE ON DELIVERY. Flowers delivered as agreed. I would use them again! Fast, simple, and efficient. No issues at all. Great service and beautiful flowers!! Excellent experience from all aspects. Reliability and quality. 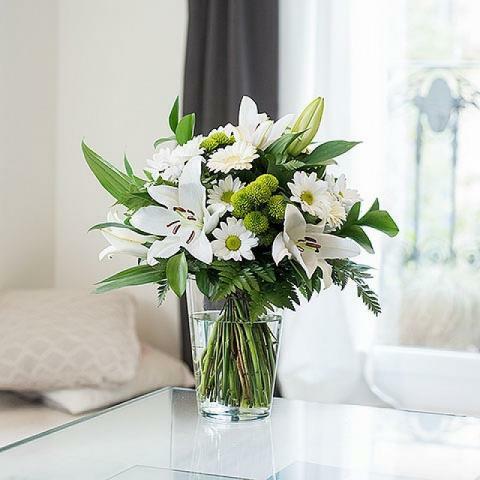 Beautiful flowers delivered perfectly on time. Fresh flowers, beautiful! Good service. High quality. Thank you! Easy orders, wide variety and perfect pn time delivery. A++. Great service. Would recommend. Every thing went well with no problems.